Construction of the MGM casino in Springfield, Massachusetts, in July 2018. A month before MGM opens a casino in Springfield, Massachusetts, city officials are either defending or staying quiet about the company's attempt to block lawsuits from shooting victims in Las Vegas. MGM Resorts owns the Mandalay Bay Resort and Casino in Las Vegas, where Stephen Paddock camped out in a 32nd floor hotel room in October and fired on concertgoers below. He killed 58 people and injured hundreds more. Now MGM is suing the victims, asking federal courts to declare the company free of liability because of a 2002 terrorism-related law. Springfield City Councilor Melvin Edwards represents the neighborhood just south of the MGM casino, which is scheduled to open August 24. "Their fiduciary responsibility is to their shareholders. So this is a tactical business move that was probably appropriate," Edwards said Tuesday. "It's morally reprehensible to people, but this is an entity that is not morally based," referencing the gambling industry. 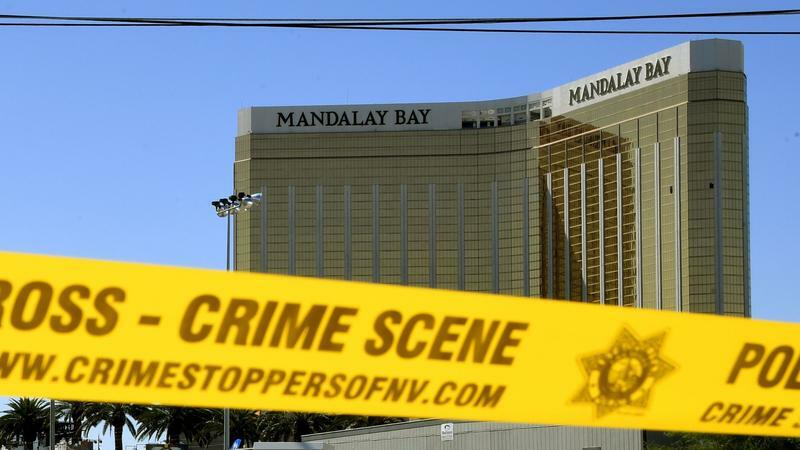 MGM faced criticism from security experts, and lawsuits from victims, for the hotel staff's failure to notice the bags full of guns and ammunition that Paddock gradually took to his room. But Edwards isn't sure MGM should be found liable, noting the proliferation of shootings in other public places. "It's certainly easy to say that MGM was culpable in some of its shortcomings related to their security, but the person who was most to blame for this was the guy who did the shooting," Edwards said of Paddock, who authorities say killed himself as law enforcement approached his hotel room. That comment from Edwards echoes a statement from MGM spokeswoman Debra DeShong, which described the shooting as "the despicable act of one evil individual." DeShong said the company filed the lawsuits to bring about a "timely resolution" to claims from victims over the shooting. Other local elected officials are less interested in speaking out. A spokeswoman for Mayor Domenic Sarno said the mayor had no comment. It was the same for City Council President Orlando Ramos, who said in an email, "I got your message. I don’t have anything to add on this story, sorry :-/"
Councilor Mike Fenton, the chair of the council's casino oversight committee, declined comment. In an email, Fenton said he's on vacation and not familiar enough with the Las Vegas incident or the claims against MGM. A spokesman for Congressman Richard Neal said the Springfield Democrat has been busy in Washington, but he hoped to get a comment from Neal soon. This report contains information from NPR. 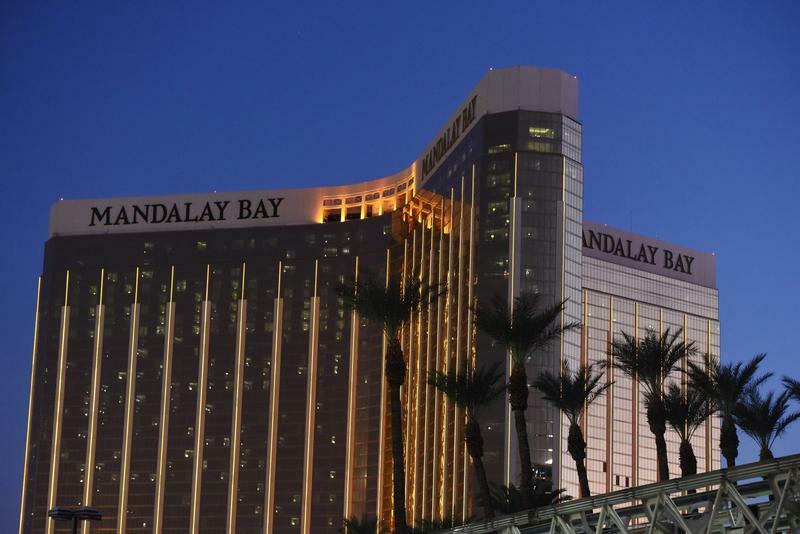 The company that owns the Mandalay Bay Resort and Casino in Las Vegas has asked federal courts to declare that it is not liable in the October 2017 mass shooting carried out by a gunman staying at Mandalay Bay. Stephen Paddock stayed at the resort for several days before he opened fire on the Route 91 Harvest music festival. Aiming from the windows of his 32nd-floor hotel room, he killed 58 people and injured hundreds. Mandalay Bay security guard Jesus Campos spoke for the first time publicly about his experience the night a gunman killed 58 people at a country music festival in Las Vegas. Campos, who was the first person to confront the killer, had remained largely out of the public eye.